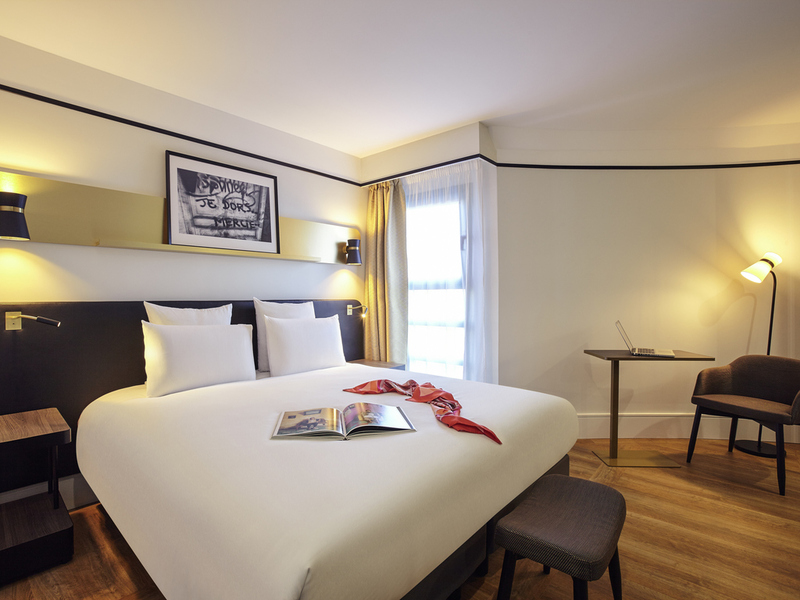 Our hotel is ideally located a stone's throw from the famous Saint-Ouen flea market and close to the business districts of Saint-Denis and Paris Nord Villepinte. Recently renovated with a stylish, contemporary decor. Share a moment with friends while enjoying the creations of our bar staff or our cuisine, which uses market produce. Relax in our fitness center or in one of our comfortable rooms with a balcony. With public transport close by and our undercover private car park, you can get to your different business appointments or sightseeing excursions easily. Immerse yourself in a stylish, relaxed atmosphere and enjoy our cuisine created with market produce. Whether in a couple or group, our restaurant team creates a warm atmosphere. Discover our selection of wines by the glass by Bettane and Desseauve or let yourself be tempted by our cocktails.